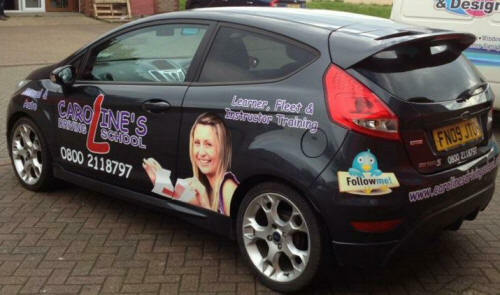 At Caroline's we have both male and female instructors (who are all CRB checked) with both manual, automatic and specially adapted cars. We offer intensive courses and hourly lessons, plus we can fit in around your schedule as we not only offer lessons during the day but evening and weekends too. 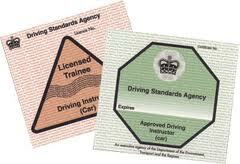 Click here to see some helpful video guides for learner drivers. Filmed in conjuction with Adrian Flux insurance. The driving part of your test will last approximately 40 minutes. Throughout the test your examiner will be looking for an overall safe standard of driving, including when you are carrying out the set exercises e.g. an emergency stop, right reverse, forward or reverse bay park or parallel park (you will be asked to complete only one off the reversing maneuvers and possibly an emergency stop). You can make up to 15 driving faults and still pass the test (16 or more results in failure). However, if you commit one serious or dangerous fault you will fail the test. At the end of the test your examiner will inform you of the result and will go over any faults that may have occurred during your test. You may take your instructor with you on your test or ask for them to be present for the de brief. Observations at junctions or during the manoeuvre.